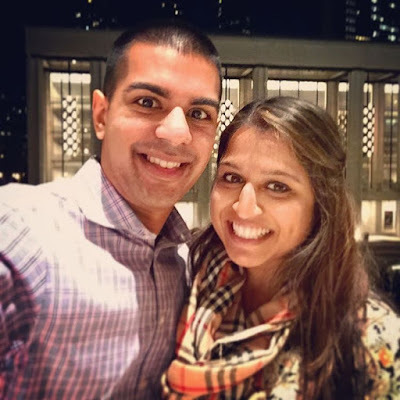 I'm pleased to present this interview with Samir from Turvani teas. Turvani is a company new to the tea scene, and I was curious to learn more about Samir and his journey to becoming a tea vendor. Samir is an optimistic and cheerful person dedicated to spreading his love for tea. Learn all about his passion for the tea-drinking experience in our interview below. Why were you inspired to start a tea company? Tea has always been a passion of mine. I love the experience and the ritual of making tea. I’ve always found that the experience of making and enjoying a cup of tea, to be relaxing and energizing. Every time I made a cup of tea, I was forced to take a moment for myself. It’s made me such a happier person, and it’s something I want to share with the world. We can make the world a happier place, with exceptional tea. With so many tea vendors out there, how do you stand out from the pack? You’re right, there are a lot of tea vendors out there. Each one has their view on tea. Some approach it as just another way to get caffeinated, others focus on the health benefits of tea, and some are just a catalog of hundreds of loose-leaf tea. We don’t look at tea as a commodity, just something to sell. Instead, to us, it’s about the experience. We source premium tea, packaged in beautifully simple bags, because we want the entire experience to be something you savor. We want our tea, every cup, and every moment, to be a gift for you. I see your company focuses on the experience of drinking tea. What does this experience mean to you, and what message are you hoping to convey to your customers? I don’t think of Turvani as a tea company, we truly are an experience company. We’re all really busy people. Our calendars are constantly double booked, we’re always on our phones, and it feels like we can never get ahead of our emails. We’re forever stressed. Yet, when you make a cup of tea, as it steeps, it feels like the world stops. You’re suddenly afforded a moment for yourself. You can, finally, experience a stress free minute for yourself. It’s that moment that we want people to experience. It’s that moment that makes us so excited about the power of tea to truly make the world a happier place. We know, for our tea to deliver on creating that moment, we need every aspect to be perfect. That’s why we focus on making sure to only source the highest quality tea. It has to look beautiful, have an exceptional aroma, and taste phenomenal. How long was your journey from original idea, to actually opening your own tea company? While it’s been a long journey so far, I don’t think it’ll ever be done – I’m always learning something new, and it’s been an amazing experience. We started our journey more than a year ago and we’ve accomplished a lot (I actually looked back and I posted the picture below on my instagram 77 weeks ago). I like the clean minimalist look of your packaging. How did you choose the look and feel of the company? Thank you for the kind words Sara! When we started Turvani, we knew the mission. We knew we were going help more people experience tea, to make the world a happier place. That was our starting point. We also wanted our tea to be the focus, but still wanted our packaging to elegant, bold, and luxurious. With that in mind, we decided to keep things simple. Our logo’s minimalistic lines and typography convey a sense of calm. The white background helps our typography stand out, and we opted to make the name of our tea be the largest text on our labels. How do you source your teas? Sourcing tea is exhilarating and tiring. If you ever decide to start your own tea company, know that this is the part where a majority of your time will go. We’ve worked across the board, with international distributors all the way to local farmers in China and India. We’ve tried hundreds of teas, tasting each for their flavor, aroma, and quality. We’ve also learned a lot along the way. In the end, we finally decided which teas to include in our initial collection. It’s not over though, we know that sourcing isn’t a process that ends – we’re constantly on the look out for new teas, which means more tastings… not that we’re complaining about the opportunity to try different beautiful teas from around the world! When did you start drinking tea? I’ve been drinking tea, for what feels like, all my life. You can credit my dad for introducing me to tea. Growing up, I would always share a cup of tea with him. It was our moment together, to chat and catch up. The ritual hasn’t ended, whenever I go home to visit, there’s always a hot cup of tea to be shared. About to try Assam golden tips from @turvani. I like the clean look of their packaging & logo. Leaves have a nice sweetness of dried fruit and malt. Do you have any favorite personal tea rituals? I have a ritual that I try to stay true to every Sunday morning. I wake up fairly early, make a cup of tea (recently it’s been our Assam), and grab the Sunday paper. I block the morning for myself – no technology, no phone, and no emails. It gives me a chance to recharge for the week, enjoy my tea, and expand my mind. How is Turvani going to grow in the future? We’ve already been growing so quickly; I’m excited to see that our vision resonates with so many people. We’ll be adding to our collection fairly soon, so stay tuned for that. We’re in the planning stages of adding some really beautiful teaware to our store. Also, we’re putting together a starter kit for people just getting introduced to loose-leaf tea for the first time, something that makes tea a little easier to get into – we’ll have more news on that pretty soon! As you can see, there’s a lot going on, and we’re just at the beginning. Thank you so much Samir for taking the time out for this interview. 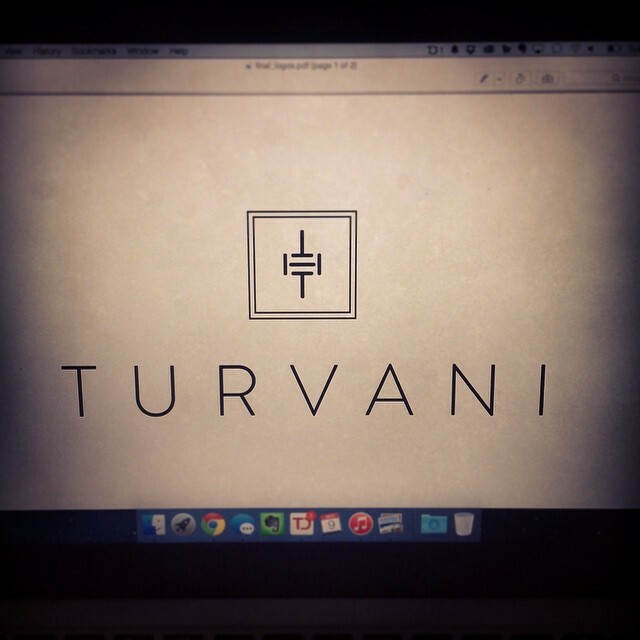 To learn more about Turvani and check out their teas, you can visit their website here.